Ha Ha so glad you got to use the tissue paper pom poms like you wanted! I can't wait to find out if Little Sears is Pink or Blue! Sooo pretty!! I've never made tissue pom poms before but I think I MUST for our next party. oh that's just mean, I wanna know!!!!!! 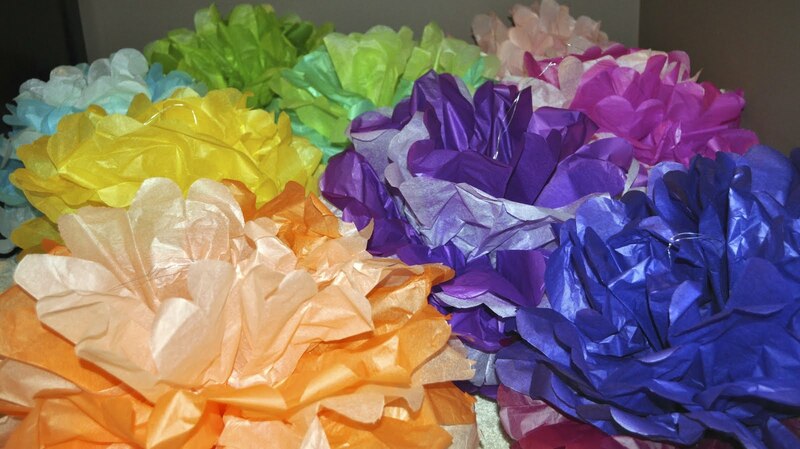 Where i did you find the time for tissue paper pom poms, Martha? !